I watched the video but went a little out of the box and did a Faux Tile card. I promise I will do a Delft Tile in the future. The Faux Tile essentially is the same thing but with a clear embossed layer over it making it look like ceramic tile. I simply scored my paper, stamped my images, covered it in Versamark, and heat embossed it with Clear embossing powder after I sponged it a bit on the edges and middle. 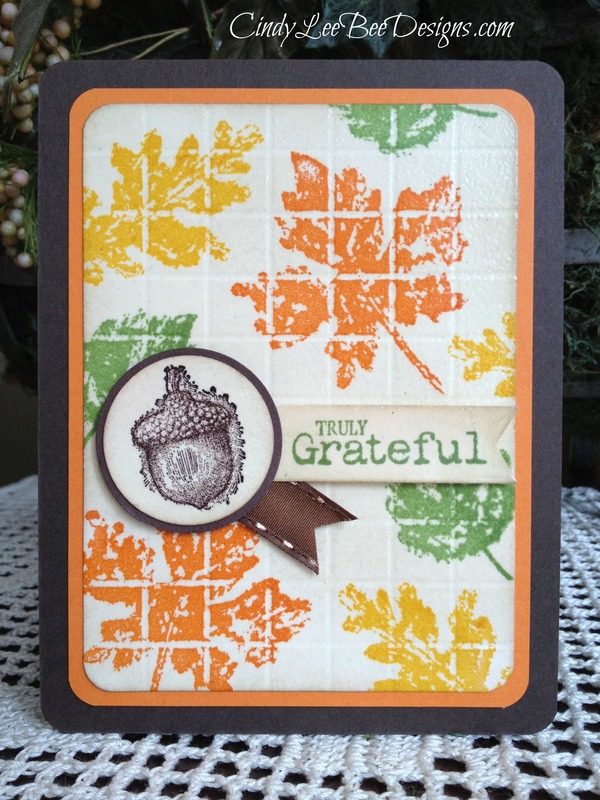 I also clear embossed the acorn and the sentiment. I made a similar card with my class last year so I was familiar with the Faux Tile technique which made my card come together quickly. Check out the second photo to see the ceramic look. P.S. I can’t wait to try the Delft Tile technique but was short on time so I did the Faux Tile instead. At least it was close, huh? Check out the fabulous examples the Design Team have on display for you at The Friday Mashup # 170! Beautiful card, Cindy! 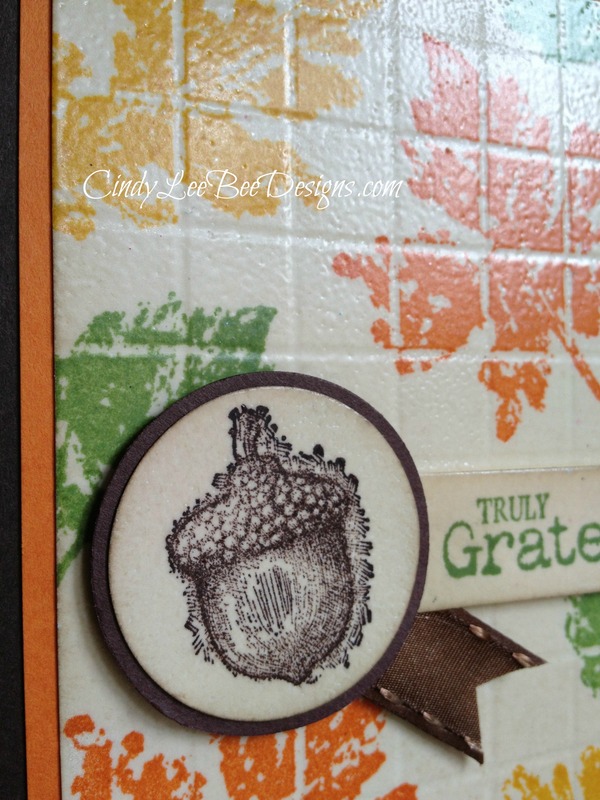 I love the look the faux tile gives to this card and the rounded edges offer such a soft effect. Very nice! Thank you, Stacey. It is such a fun technique, and you know how neat it is to see embossing powder do its magic! Thank you, Jodi. It is a fun technique. I can’t wait to see what you come up with on this technique- I can only imagine what your creative mind will do! Hi! Beautiful card. Love the colors. Thanks so much, xiomara! I liked the brighter fall colors, too. They turned out brighter than I thought they would. Wow beautiful technique with beautiful results! This is beautiful Cindy! The tile look is amazing, I’ve never seen a card done like this before. You and Heidi really have me anxiously awaiting fall with your beautiful cards! I hope your back is doing better. I have arthritis in my back and hips and when they go out, oy vey, not fun!